The city’s rooftops are alive with drama. 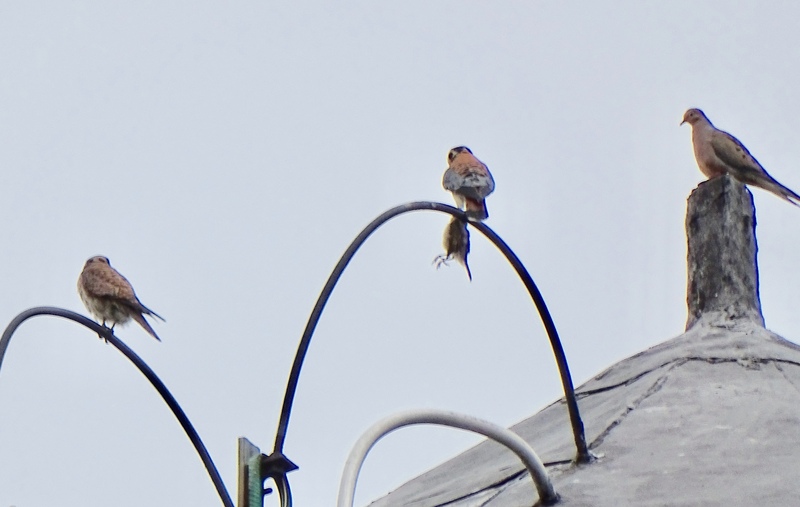 Here’s a pair of American Kestrels above Manhattan’s Chinatown. The male has some prey. The Mourning Dove is, what, kibitzing? This photo was taken by a Friend of the Falcons who has been on the lookout for a nest site for this pair. Wow! That’s an interesting catch in one glass.